If you love my Parmesan Crusted Pork Chops, you'll love this Apple Parmesan Pork Salad! It's no secret those pork chops are one of my favorite recipes to make, both when I have company over or when it's just an average night. Add apple butter to the pork and it takes it to another level. 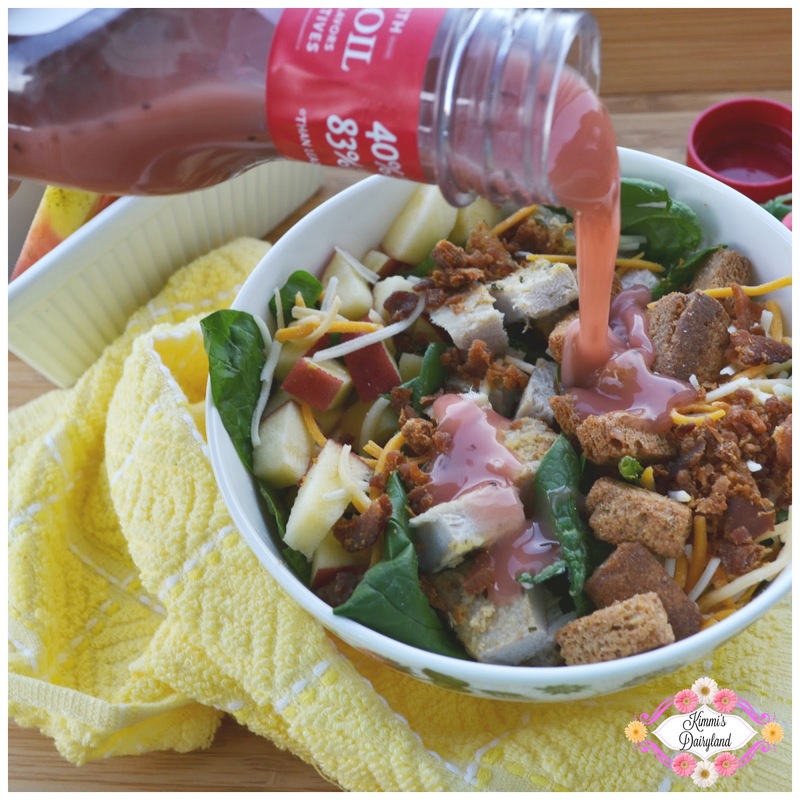 Anyways, back to the salad...bacon bits, diced apples, shredded cheddar, whole grain croutons and raspberry merlot vinaigrette top off this salad that is a great addition to your spring and summer menu. It's been busy lately! I feel like I'm ALWAYS saying that...between work, attempting to blog (and usually failing miserably to be consistent), ramping up my spring fitness routine and trying (key word - trying) to have somewhat of a social life, there's not much time for anything else, including spending hours in the kitchen making dinner. It's about to be the busy season on our farm. We have to wait until the soil dries out a lot more so we aren't compacting the soil by driving tractors and other planting equipment on it. It rains a lot in Western Washington, so it may be a little bit. Once the weather cooperates, days get long really fast. It's important to monitor the soil temperature and moisture levels to make sure the soil is in good shape. 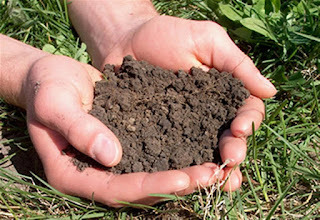 Soil testing also does a good job of telling us if the soil needs more Nitrogen, Phosphorus or Potassium (N, P, K). For more about how farmers protect water quality, check out this post. The corn we plant is for corn silage, which is when we chop up the entire corn plant (stalk and kernel) and use it for cow feed. Corn silage has a lot of energy and dairy cows need a lot of energy since they are producing milk. For an intro course to what planting is click here or more about corn silage click here. This is the silage truck next to the corn that is next in line to be chopped. The silage wagon (not pictured) dumps the load into this truck, which is taken to the storage area on the farm. Many times it's hard to find extra time to spend in the kitchen during planting and harvest, so easy recipes are key. You may or may not spend spring and fall in a tractor or combine, but many of us are extremely busy, so this recipe is great. It's also a good one to make ahead of time and take to work for lunch.